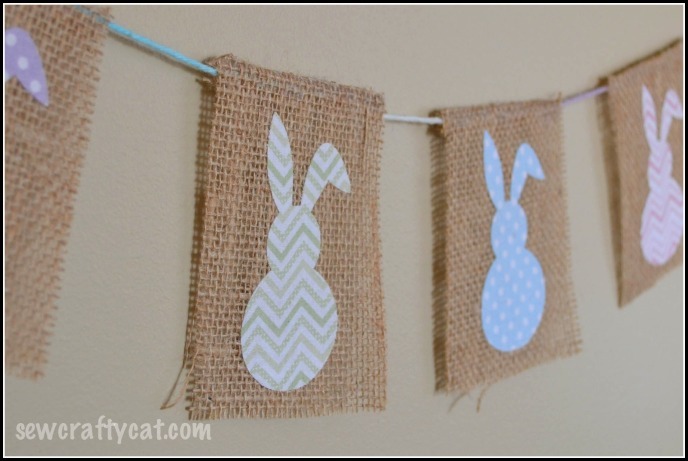 Burlap Bunny Bunting….say that three times fast! Since the discovery of using burlap for craft projects, I have made these cute little burlap buntings for a few different holidays, including Valentine’s Day and St. Patrick’s Day. Quite awhile back, I bought some pastel fabrics to use for baby gifts. After digging around in my fabric stash, I came across a few scrap pieces of green chevron and polka dots. 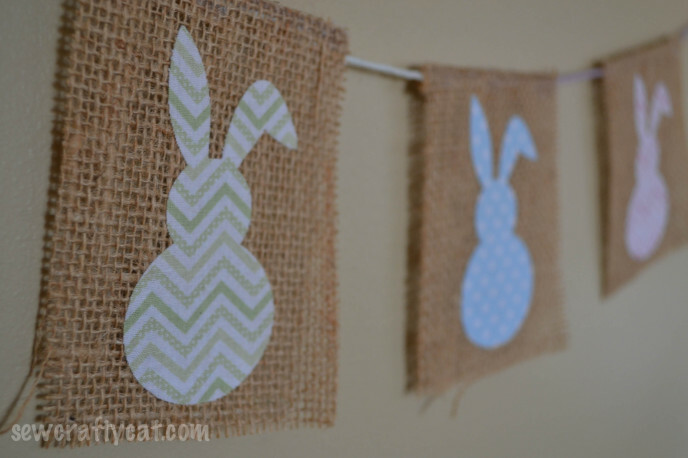 Knowing that I had some other pastel colors, I decided to make some polka dot and chevron bunnies for an Easter bunting. I used the same bunny outline as my Easter Bunny Canvas – I think it’s really cute how the one ear flops over a little. After Ryan suggesting that I add tails to the bunnies, I tried cutting up a pom pom puff ball into smaller pieces to add with glue. That didn’t work out so well. It looked as if a rabbit had molted all over my craft table. So these bunnies are going to be tail-less for the time being.